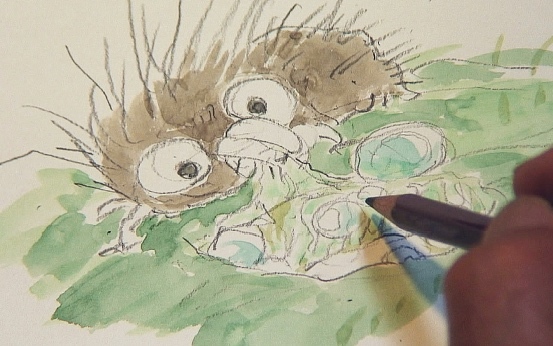 A biopic about animator Hayao Miyazaki comes to theaters for a very limited showing. 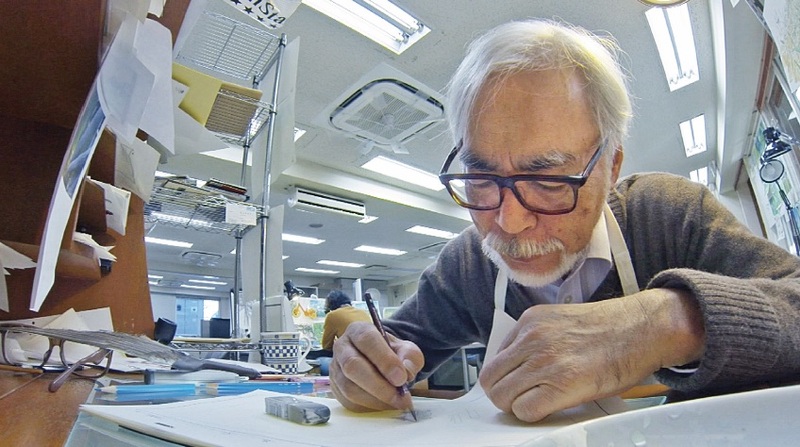 Legendary animator Hayao Miyazaki working on his latest project. In 2013, Academy Award-winning film director and animator Hayao Miyazaki suddenly announced his retirement at the age of 72. But he can’t shake his burning desire to create. After an encounter with young computer graphics animators, Miyazaki embarks on a new project to utilize CGI for the first time ever. But the artist, who has been adamant about hand-drawn animation, confronts many challenges that threaten to cancel the film. Can an old master who thinks he’s past his prime shine once again? The film will be shown nationwide in U.S. cinemas on only two dates, Dec. 13 and 18, though a partnership between Fathom Events and GKIDS, which handles North American distribution for the famed Studio Ghibli library of films. A director, producer, screenwriter, animator, author and manga artist, Miyazaki co-founded Studio Ghibli in 1985, and went on to direct highly influential and acclaimed animated films such as “Princess Mononoke,” “My Neighbor Totoro” and “Spirited Away,” winner of the Academy Award for Best Animated Feature in 2003. After the 2013 release of “The Wind Rises,” he announced his retirement from directing; however, his endlessly inventive mind has turned toward new creative avenues. “Never-Ending Man” explores the life and career of Miyazaki as he returns to work to create his new film, which is not expected to have a wide theatrical release. The 15-minute short has been screening as part of the tour at the Ghibli Museum in Mitaka, Tokyo, since March of this year. Earlier this year, GKIDS and Fathom Events presented the U.S. premieres of “Mary and the Witch’s Flower,” “Fireworks” and “The Night Is Short, Walk On Girl,” as well as 20th anniversary retrospective screenings of the cult classic “Perfect Blue” to big screens nationwide. Since 2010, GKIDS has scored an astounding 10 Best Animated Feature Oscar nominations with “The Secret of Kells” in 2010, “A Cat in Paris” and “Chico & Rita” in 2012, “Ernest & Celestine” in 2014, “The Tale of The Princess Kaguya” and “Song of the Sea” in 2015, “Boy and the World” and “When Marnie Was There” in 2016, “My Life as a Zucchini” in 2017, and “The Breadwinner” in 2018. “Never-Ending Man: Hayao Miyazaki” comes to more than 500 U.S. cinemas Thursday, Dec.13, at 7:30 p.m. and Tuesday, Dec. 18, at 7:30 p.m. (local time), subtitled in English. For a complete list of theater locations, visit the Fathom Events website (theaters and participants are subject to change). Tickets are available now at www.FathomEvents.com and www.NeverEndingMan.com or at participating box offices.